Step aside, HTC Vive. Oculus Rift has just passed you in the Steam Hardware & Software Survey for the first time ever. Here's how it breaks down: Oculus Rift counted for 47.31% of virtual reality headset usage on Steam in February 2018, while HTC Vive came in at 45.38%. Two percentage points isn't a big difference, but it's noteworthy considering Rift has trailed behind Vive since the two launched in 2016. Last month, Oculus Rift usage fell shy of HTC Vive by only 0.9%, according to Upload VR, indicating Rift was already on its way to overtaking Vive. 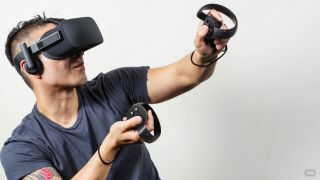 The survey, then, doesn't mean Oculus Rift has sold more than HTC Vive; neither Facebook, which owns Oculus, nor HTC have released sales figures for the VR headsets. But it does shed some light on usage, and shows Oculus Rift could be emerging as the top VR headset around. It's a close race, though, and each side is taking a different strategy. The Oculus Rift price of $399 / £399 (around AU$640) is lower than the HTC Vive price of $599 / £599 (around AU$760), however HTC isn't necessarily looking to win on price. Instead, as we're seeing with the introduction of the higher-end HTC Vive Pro, it looks to want to win over users with superior hardware. The table is set for a tight battle between Oculus Rift and HTC Vive as 2018 rolls on. If it means upgraded hardware and lower prices, then at least consumers will come out winners.